Yes, it’s that time of year again. I had forgotten all about it and then Stephen Fry kindly tweeted a reminder. In timely fashion I am struggling to write very much about World Lupus Day because my lupus is flaring a little and stealing all my words. It does that. You see, when I talk about fatigue I don’t just mean I feel tired; there’s a whole host of fun that comes with the tiredness. I suppose it’s not unlike a bad hangover combined with lack of sleep – there’s the headache, dizziness, nausea, dry mouth, double vision and, of course, the brain fog. Brain fog? I remember the first time the rheumatologist said the words to me and I felt such huge relief. That bizarre cotton-woolly feeling of not being able to think straight, of losing words, of not being able to answer simple questions – it’s real! And I’m not the only one! And this is why events like World Lupus Day are so important. Diagnosis is vital even in “mild cases” like mine and, of course it is life-saving in many other cases. 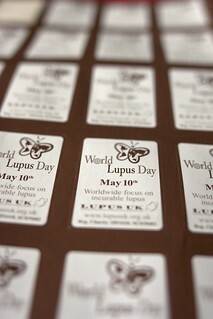 But it’s also hugely helpful for other people to know about lupus and what it means for me and others. And a little more support for research into new treatments would also be a good thing. 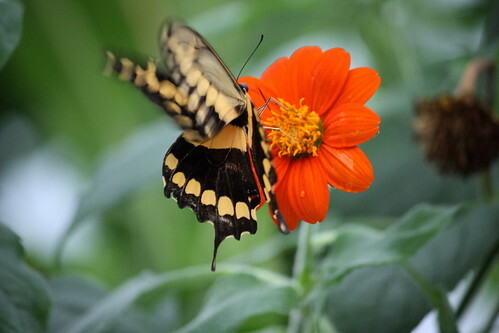 To brighten up this post, here is a random old picture I took of a butterfly, because they’re the symbol of Lupus UK.